I'm kinda jazzed. I made it into Dave Smith's new book. There I am, on page 245 of Disney Trivia from the Vault, asking about how the Magic Kingdom Club publication Disney News covered Walt Disney's death in 1966 (it didn't) as well as the passing of Walt's brother Roy (there was a tribute in the spring 1972 issue). Of course, if you ever sent in an "Ask Dave" question and Dave answered it, there's a good chance you're in the book too. For 29 years, the legendary archivist has been answering questions from Disney enthusiasts, casual fans and armchair historians. "Ask Dave" began as a column in Disney Channel Magazine, eventually moving to Disney Magazine (my question was first answered in the winter 2004-2005 issue) and later online as part of the "Disney Insider." 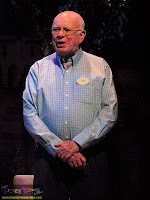 These days, Dave's column resides at D23, where he still answers a select group of questions each week. He stays pretty busy for a guy who retired in 2010. 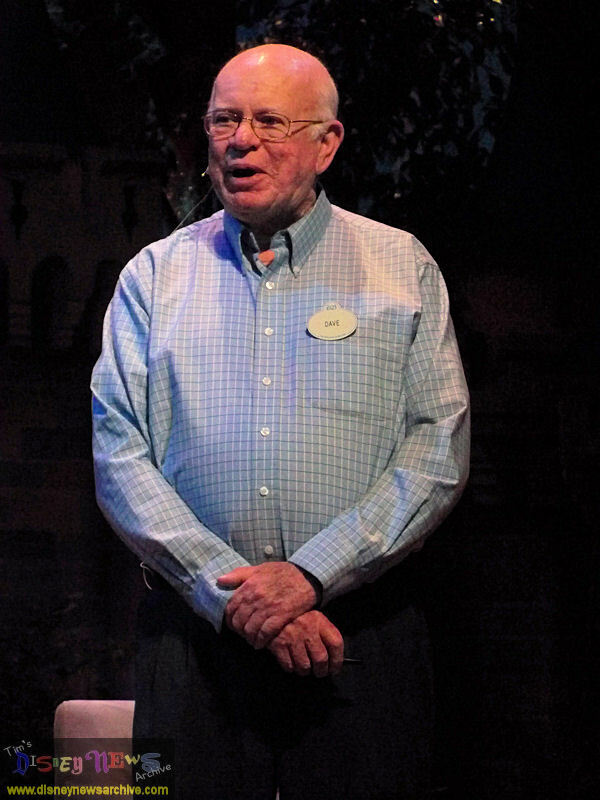 Disney Trivia from the Vault is a compilation of the best "Ask Dave" Q&A's over the years. They're grouped into general categories with chapters devoted to animated features, animated shorts, live-action films, television, Disneyland, Walt Disney World, Disney publications and Walt himself. Questions range from the basic ("Who provided the original voices for Mickey and Minnie Mouse?") to the obscure ("How many triangle-shaped pieces were used to make Spaceship Earth at Epcot?"). Since the interests of Disney fans worldwide are both broad and eclectic, you're just as likely to find a question about the Haunted Mansion as you are about Pablo and the Dancing Chihuahua. It's all very random, and that's exactly what makes the book so fun. You never know what little nugget of information you'll stumble upon next. 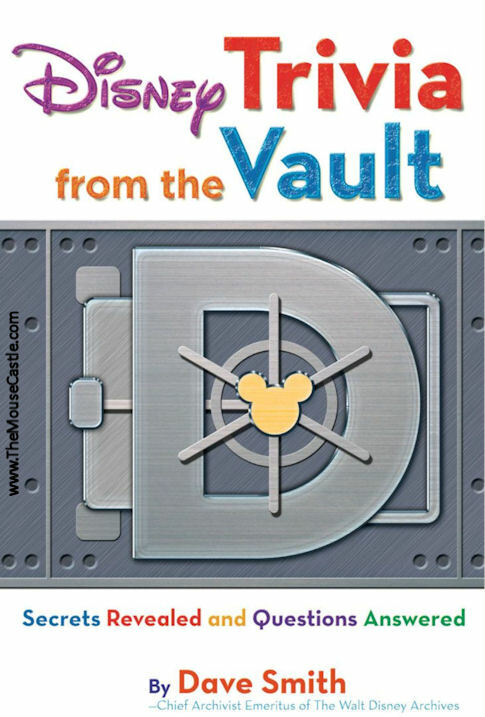 If there's any complaint about Disney Trivia from the Vault, it's that, with the exception of a photo montage at the beginning of each chapter, there are no other pictures in the book. Considering that Disney thrives so much on its visual content, you'd think references to forgotten Disneyland attractions, animation continuity and movie poster printing errors would have photos to back them up. It's an omission that detracts from an otherwise entertaining and informative book. Of course, page 245 is still pretty awesome, so there you have it.